With Identity Crisis just finished, and news breaking about DC Countdown, Crises are in the news in comics right now. That makes this exchange from The Flash 80-Page Giant #1 (1998) all the more interesting. 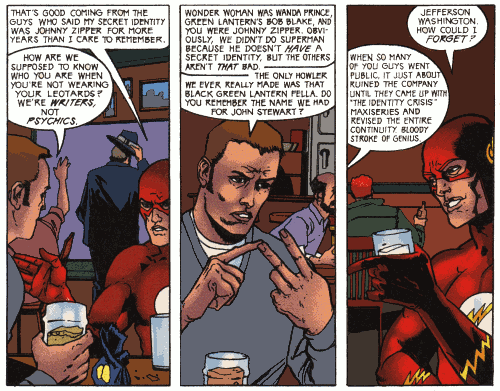 This entry was posted in Comics and tagged Flash, Identity Crisis, Repost Source, See Also: Speed Force on December 20, 2004 by Kelson. Holy cow. I wish I had read that particular comic.